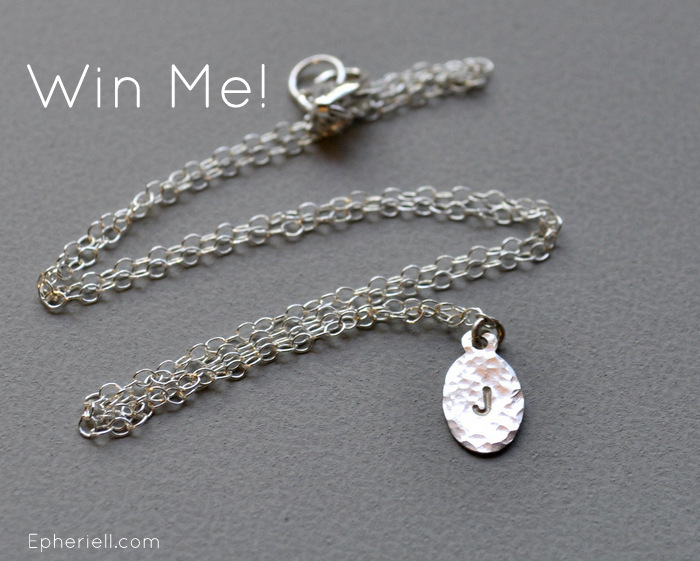 In March, I’m giving away a Petite Custom Initial Necklace to a Silver Service Subscriber. I’m also changing the terms of the monthly giveaways. 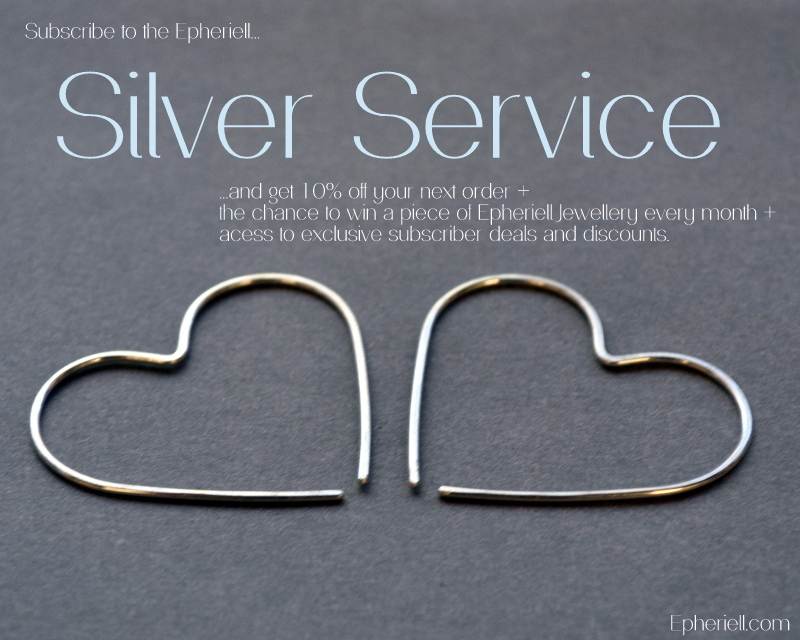 Up to now, all you had to do to be in the draw was to subscribe – and stay subscribed – to the Epheriell Silver Service email updates. However, I’ve noticed over the last little while that often I’ll choose a winner (which I do by using random.org to choose a subscriber number), email them directly, and they’ll not ever get back to me. This could be because they just miss the email – but more likely, it’s because they don’t check the subscribed email address often – because some of my subscribers have been around for years! SO! From March 2014 onward, to be considered for the giveaway, you have to not just stay subscribed, you have to be an active subscriber. The winner of the January Giveaway – a pair of Oxidised Little Square Hoops – is Stacey (stacaroni). The winner of the February Giveaway – a pair of Arrow Earrings – is Meg (mht07). Congratulations, ladies! I’ll be in touch very soon. Want to be in the draw? If you’re already a Silver Service subscriber, just sit back and keep your fingers crossed (but make sure to remember to open emails that you find interesting to ensure you’re in the draw)! If you’re not yet subscribed, hop on over here to sign up (for free of course) to the club. You’ll get emails a few times a month letting you know about new Epheriell products, specials, what our cats have been up to (kidding) and you’ll also get 10% off your next order. It’s my birthday month so I hope I get lucky this time, thank you. Australian handmade Sterling silver jewellery: wedding rings & contemporary everyday wear. (c) Epheriell 2018 All weddings featured are from our own customers! Images courtesy of: Clare Godson; Rachel Kara; Marina Locke.